Mary grew up on a working farm in Massachusetts, rode horses, and raised a family of five. Today she lives in New Hampshire with a dog, a cat, and three horses. And while her values are old fashioned, her treatment techniques are new age. Her interest in emotional healing was born out of the riding lessons she gave neighborhood children, particularly those who were withdrawn and lacking in self-confidence. The relationship between these children and the horses they came to love was palpable and it planted a seed that would eventually blossom into a career. 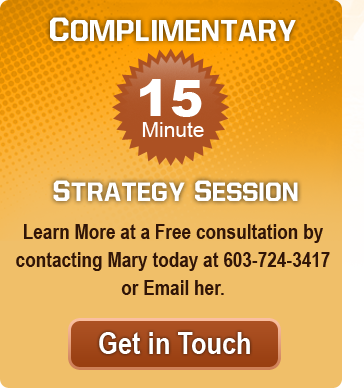 Mary began formal training for her work in the mid-nineties, earning her Certification in Life Coaching in 1997. She became a member of the National Guild of Hypnosis in 2006 and is American Board Certified in Hypnosis. She studied Emotional Freedom Techniques (EFT) in 2007 and began incorporating it into her treatment protocols soon after. In 2012 Mary obtained a degree and then a Masters in Neuro Linguistic Programming (NLP) at Neuro Linguistic Programming University in Santa Cruz, CA. She is American Board Certified in its treatment and as an NLP coach. 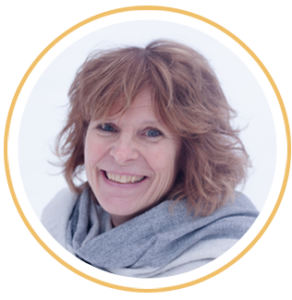 Eager to expand on what she is able to offer her clients, Mary studied Time Line Therapy® through Tad James LLC and is now certified as a Time Line Practitioner. Mary continues to study, learn and grow from both her academic pursuits and from her those with whom she works. Committed and passionate, she has dedicated her life to helping others find true mental and emotional wellness. Call or email Mary today to schedule a free initial consultation to talk about how she can get you on the path to emotional wellbeing.